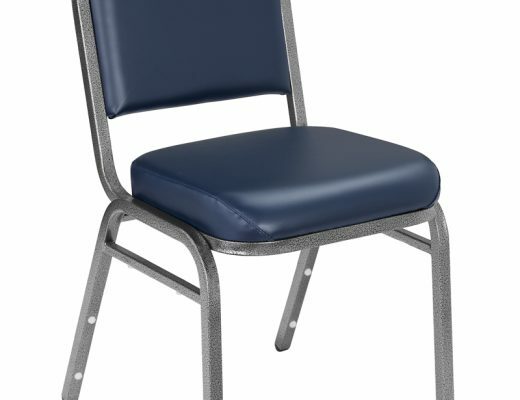 The NPS-204 Navy Blue steel folding chair sits on a powder coated steel frame with an electromagnetically welded seat back. 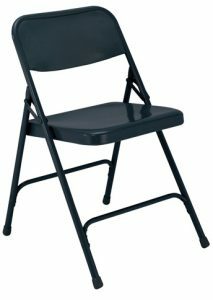 Two U-shaped double riveted cross braces along with a 18-gauge 7/8” round tubular frame allow this folding chair to hold a whopping 480lbs! 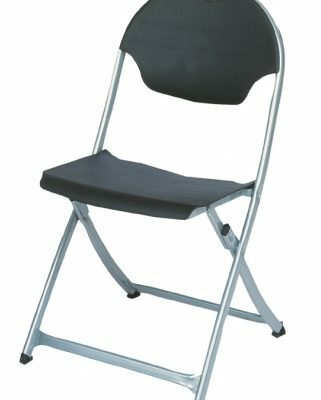 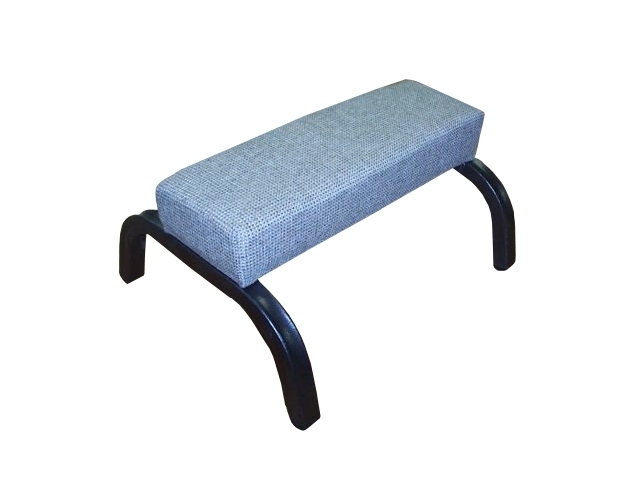 We carry the NPS 200 series chair in a variety of colors.